Trangmar's Store, 73 Whyte Street, Coleraine is a single storey, double fronted brick shop with a rendered shopfront and attached brick residence. It is located in the main street in the centre of Coleraine. The existing building dates from after 1905. The present shop and dwelling is typical and one of the larger examples in Coleraine. It is in good condition and retains a good degree of integrity. 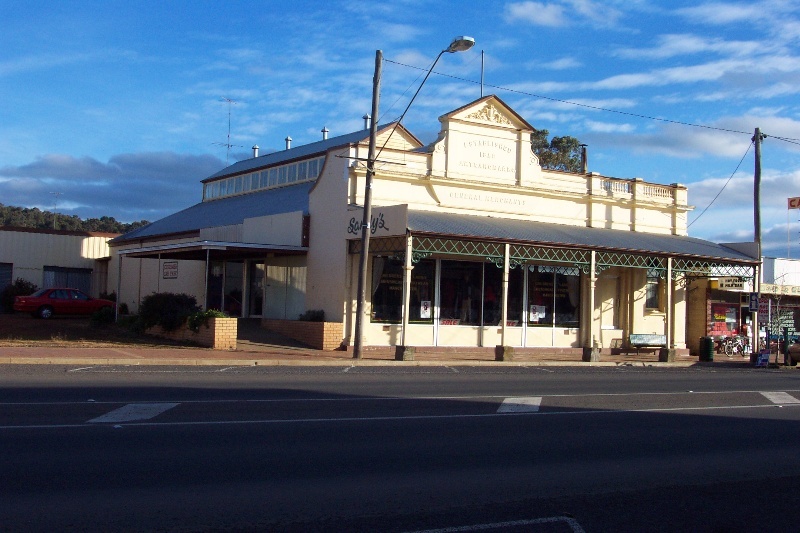 Trangmar's Store is of historic and architectural significance to the township of Coleraine and the Southern Grampians Shire. Trangmar's Store is of historic significance for its associations with the most influential and long standing merchants in Coleraine, the Trangmar family. Both George Trangmar and James William Trangmar (his nephew) were substantial and influential people within the township and the community, serving as Justice of the Peace, Shire Councillors and Presidents of many local societies. 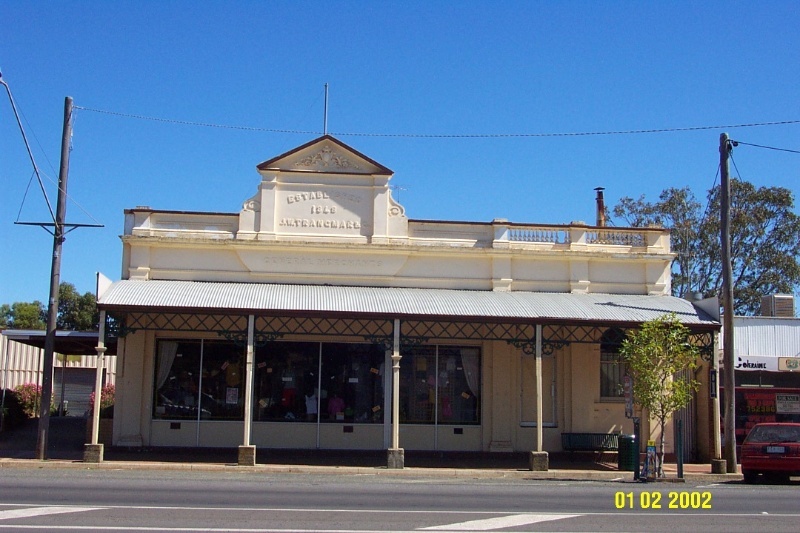 The building, which replaced a much earlier 1847 structure is a representation of the success of the Trangmar's Stores business, and the rising fortune of the Trangmar family, which is reflected in the classical form of the facade of the building. 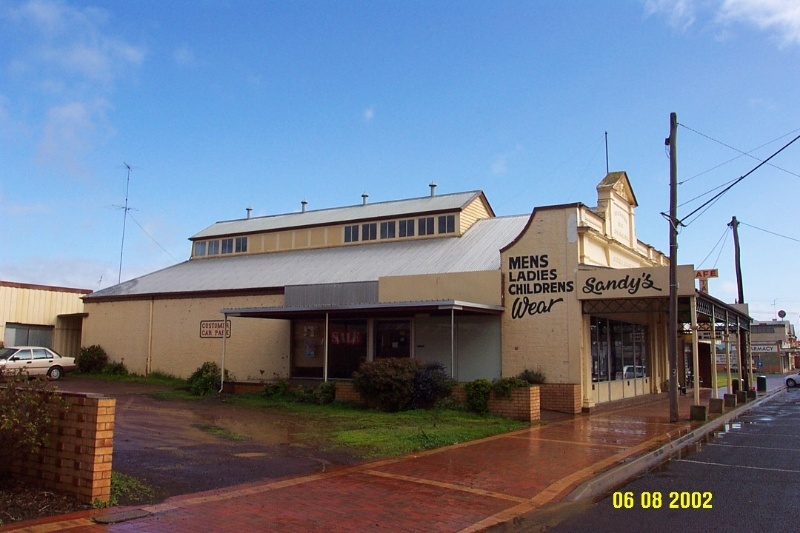 The store is of further historical significance for its claim to be the longest family run store in Victoria (prior to sale in 1969). The main shop is in good condition, although it has undergone many minor alterations. Some decorative features on the parapets have been lost. The loss of the original entrance, shop windows and shop fittings in the late 1960s detracts from the integrity of the interior. The later extension to the rear is in fair to poor condition, with subsidence of floors and evidence of water damage to plaster walls. The office is in good condition, but has lost the grate and mantelpiece from the fireplace. 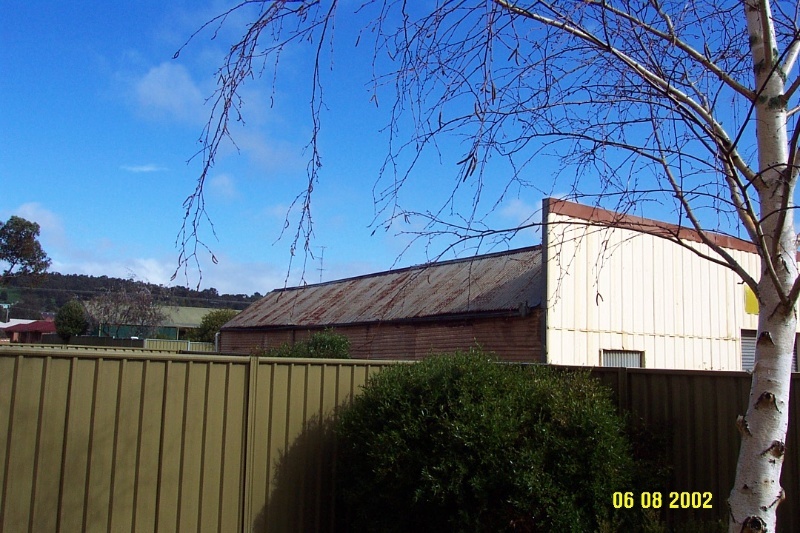 Trangmar's Store, located at 73 Whyte Street, Coleraine is an asymmetric single storey brick shop and attached office built in 1905, with later brick, timber and corrugated iron additions at the rear. The store has a corrugated iron roof with a distinctive rooftop skylight over the main shop space. The stucco facade in a classical style has four attached pilasters resting on a ground level podium. Above the store is a Dutch gabled parapet with curved sides crowned by a pediment. The parapet above the office is balustraded. The attached concave profile pavement verandah displays unusual detailing, consisting of a geometrical cross-braced wrought iron frieze with supports of a trefoil design based on the sinuous curves of Art Nouveau. The original entrance to Trangmar's Store has been altered, with access now gained by a sliding door at the side of the building. The original timber steps remain under a false floor abutting the front display windows. A number of the former multiple paned shop windows remain on site, now sued as a false ceiling over the cash register. At the far end of the main shop, double doors formerly led into a small space, beyond which is a second large retail space. The double doors have been relocated within the store. Fair degree of integrity. The loss of many of the original shop fittings in the 1960s has substantially reduced the integrity.